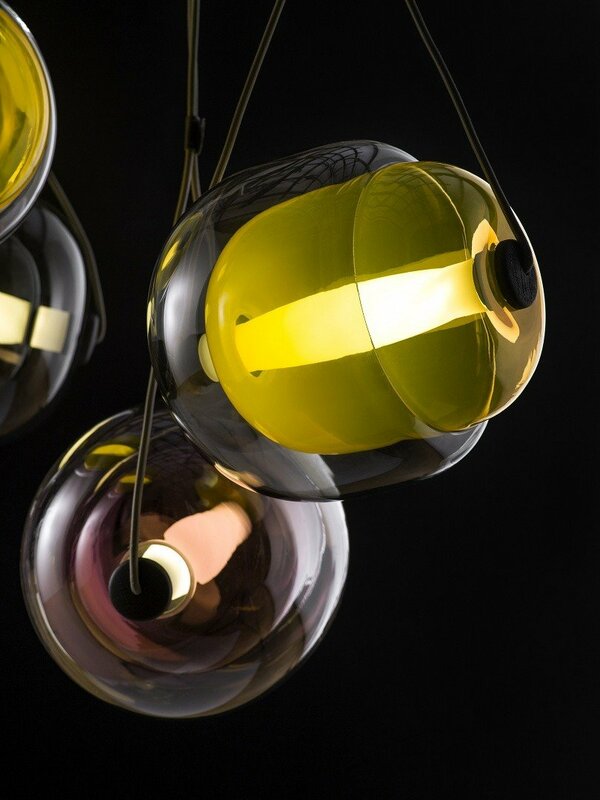 The Capsula pendant light has been created by Lucie Koldova for manufacture BROKIS. 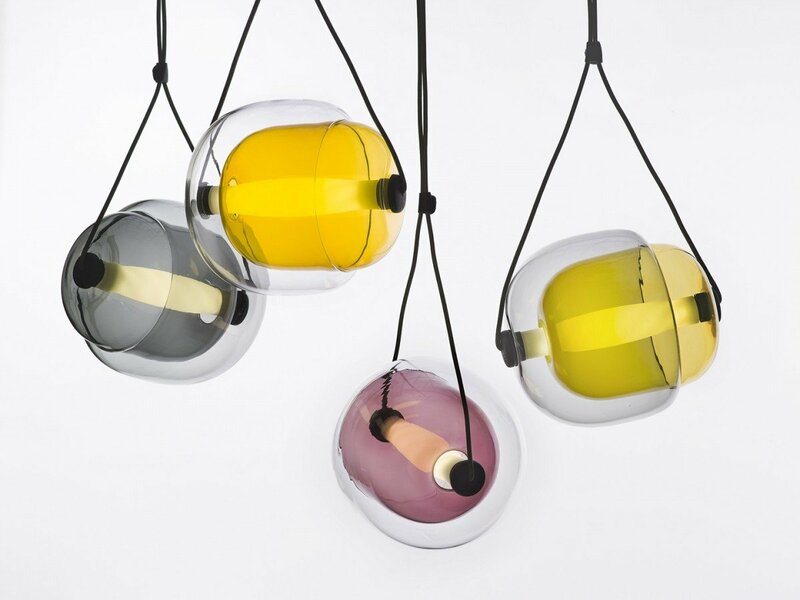 These interesting oval capsules combine a coloured core with a clear outer shell, creating a wonderful 3D effect. 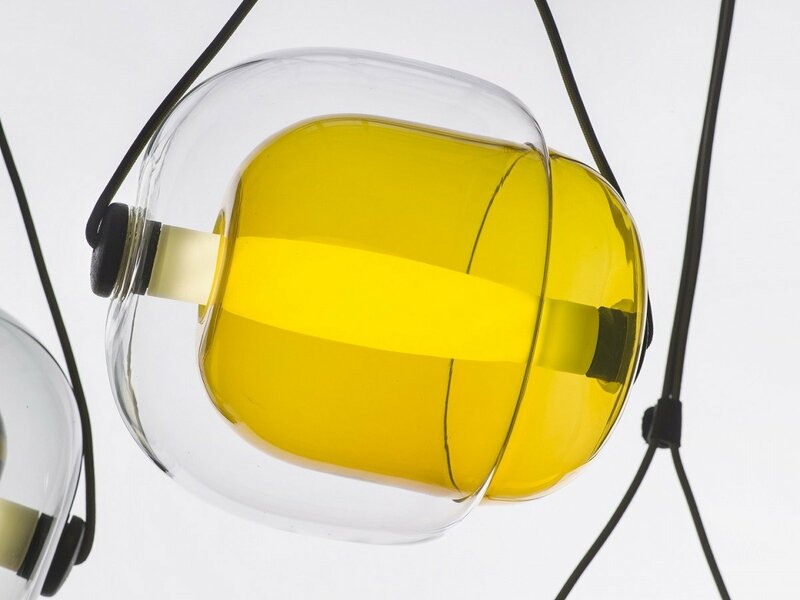 “Capsula pendant light is composed of two oval capsules of glass when external absorbs the internal and by permeating each other they complete compact form. 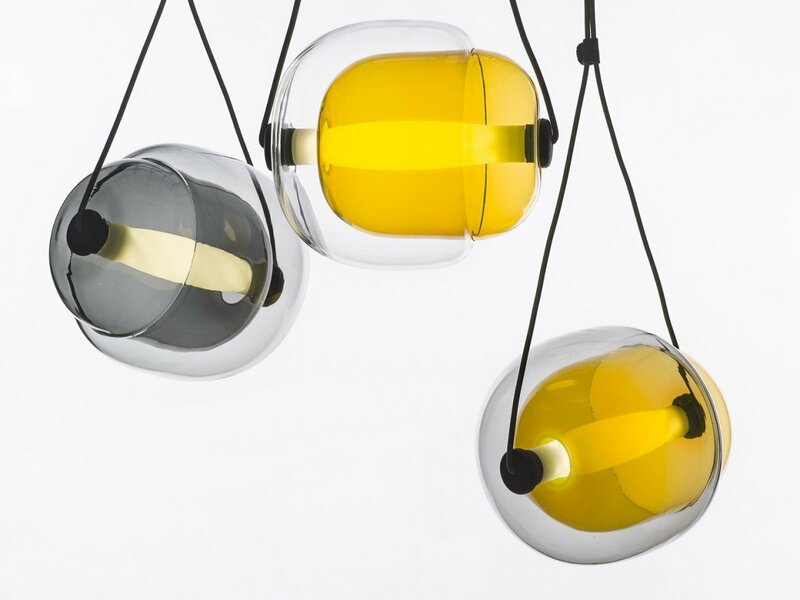 The concept is visualized by two convex capsules one overlapping the another and so merged into one single form which reminds an inspiration of nature, shapes of cells or plant seeds. 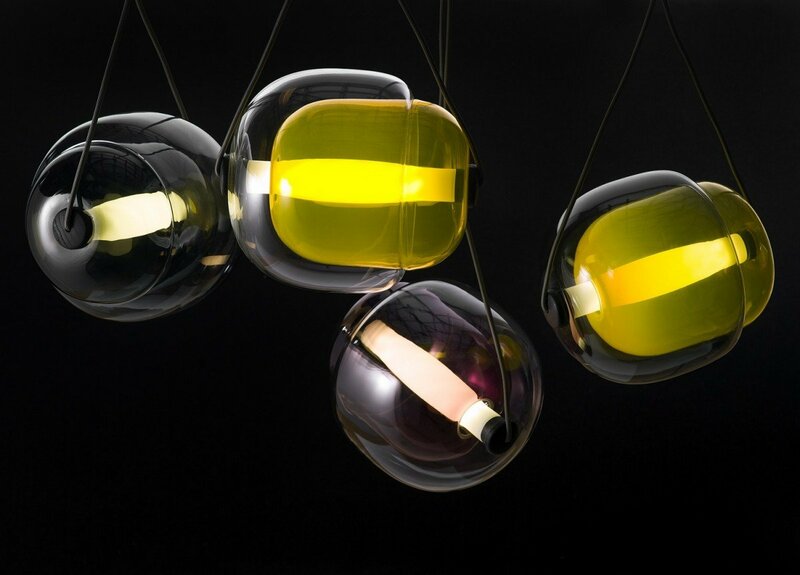 The combination of outer shell of crystal clear glass and internal capsule of colored glass creates exciting tension of forms and optical 3D effect.